We do it all. We’re your one stop peace of mind shop. In our 30+ years of service we stay true to this philosophy: no vineyard or job is too big or too small. Our approach to farming has always been driven by quality not quantity. We are as focused on the needs of the small absentee vineyard owner as we are to the demands of a corporate winery. We know that trust is hard to earn but easy to lose. Every day we dedicate ourselves to making sure each project gets our full attention and we are never finished until you are completely satisfied. Responsive: With several hundred full time employees and even more during harvest, we are well equipped to a variety and multitude of needs, quickly and completely. 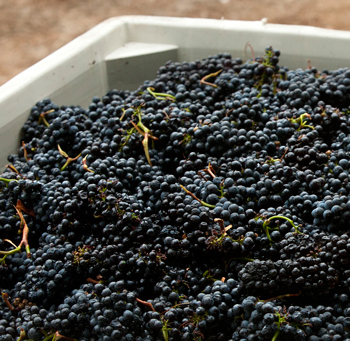 Responsible: It is our job to make sure your vineyard produces up to its quality potential. That means we have to be responsible caretakers of the vineyard – if we need to be there around the clock during the frost season we will be. We are also responsible stewards of the land, utilizing the highest quality sustainable practices possible for each vineyard site. Compliant: As if the laws of nature weren’t enough to contend with, there are a myriad of man made rules and regulations that affect vineyard development and management. The only way to ensure that you play by the rules is to know the rules, and we do. We also make it a point to stay up to date on rules as they evolve so you can be sure we are always operating with the latest information. REVM has a deep respect and excellent working relationship with many local enforcement agencies such as the Sonoma County Agricultural Commissions Office. Innovative: When it comes to wine growing there is no such thing as resting on your laurels. The art and craft of growing grapes is completed by science, research and ever-changing technologies and innovation. We are committed to staying in the forefront of the learning curve in order to plant and grow the highest quality grapes in the most efficient, cost effective and responsible manner for our clients. Expert: In addition to the several hundred full time employees, many of whom have decades of experience, REVM retains the services of several of the wine industry’s leading experts in the fields of viticulture and enology. No other vineyard management team brings more expertise and experience to designing, developing, managing and harvesting premium vineyard sites. Accessible: We enjoy exceptional long-term relationships, both professional and personal with our clients, many of whom have been with us for more than 10 years. REVM treats each of our clients as individuals with unique needs and dreams, retaining personal connections that are the heart and soul of our business. Work without passion and without enjoyment bears no fruit. We are in the business of bearing fruit for – and with – our clients. There is no task too small or too large that we won’t perform for you, our valued client.